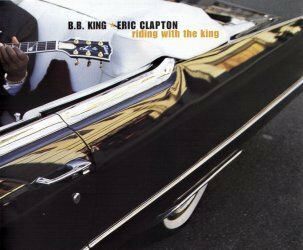 Taken from the album "Riding With The King"
Only because the production values could have been better...the sound division (probably from the "LIVE" recording format) leave a bit to be desired, but the CONTENT and the SOUL and the ENJOYMENT definitely override the shortfalls of the sound quality. Having seen EC live in 98 and BB live in 2000 I can only hope that when we all get to heaven I'll get to see them together. The joy they experienced in putting this together escapes into the listener's ears...put this on the best player you have and crank it real loud...there's not a clinker in the bunch. When I first heard EC and BB were doing an album together I was very excited. I had VH1 on 24/7 waiting for the new single to come on. When I first heard it I played I had to listen to it again and again......and again. EC and BB both sing and play fantastic ( nothing new there ). This is a great song to lead the album... a must for any music fan !